Our 'On Your Wedding Day' cut glass award is the perfect gift for the just married couple. It features an illustration of wedding bells with two love birds on either side. 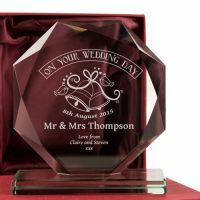 The wedding date, couple's names and a short "love from" message are also engraved. 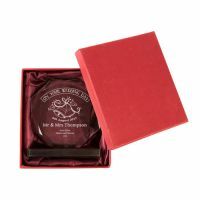 It will make a wonderful keepsake of their big day. We personalise the cut glass skye facet in house so can add the wedding date, the couple's surname and titles and a short love from message. Personalisation guidelines: Wedding date (eg. 8th August 2015), Names (eg. 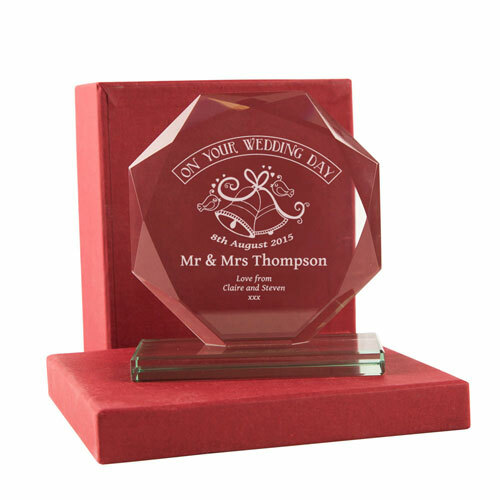 Mr and Mrs Thompson), and a short love from message.